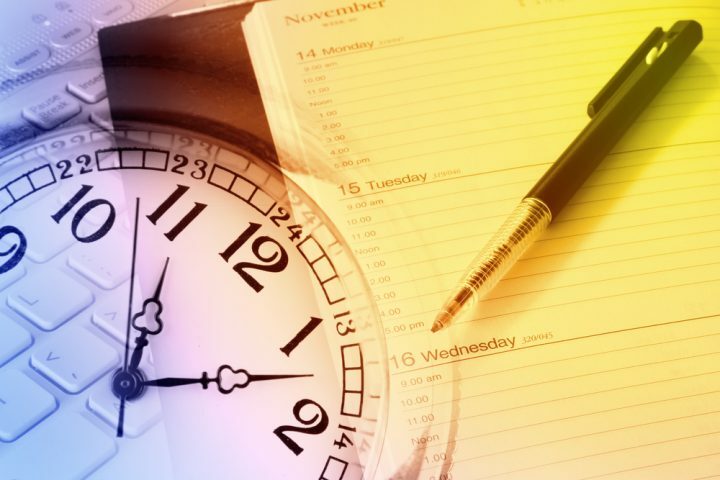 Time management tips that will help you stay on task and increase productivity. Time management can be one of the most challenging aspects of working for oneself. One of the most rewarding, yet challenging, personality traits of the solo-preneur is what some call the “shiny object syndrome”. And, the most rewarding, yet challenging part of being a freelancer is, believe it or not, freedom. You sit down to your computer in the morning, armed with your “To Do” list, dutifully created the night before. You check your email and then BAM, it’s off to the races. Out the window goes your carefully crafted list as you answer emails and catch sight of one from Joe, inviting you to a pig roast on Saturday. Remembering that it is his birthday (hence the party), you head over to Facebook to leave a birthday wish, but get distracted by a great article on real estate investment, which leads you to another article about digital marketing, which, in turn, gets you thinking about creating a authority niche site- you’ll make millions in passive income! Your head starts to spin with the multitude of possibilities…. After jotting down some of your ideas and daydreaming for a while, you get back to the task at hand, which was to leave a message for Joe; you do so, and then remember that you need to check your Linkedin account because there is a new investor’s group that you’ve been following and, really, learning quite a lot from. While checking out the latest thread, you note that you’ve got some notifications, so you check those out and accept a few invitations to connect. You get especially curious about one invitation in particular, as you recognize the name of an author of an article you read recently. Curiosity getting the best of you, you Google him and head down the rabbit hole that is his website. Before you know, it’s three in the afternoon, and you haven’t done a damned thing; not anything truly productive anyway. Yes, I know… you did it and it didn’t work. That doesn’t mean it isn’t without value, though, and with other tools and habits in place, it can be an incredible tool for productivity. I personally use a good old-fashioned legal pad and pen, but for those who need to keep it digital, there are a number of terrific applications out there, both free and premium. It doesn’t matter whether you use a task list that part of a project management system like TeamWork or Basecamp, an app on your phone just for To Dos such as Clear, or pen and paper- all that matters is that you use one. As a writer, I find that it is imperative that I schedule time to write for me, time to write for work (gotta pay the bills), and time for everything else. If I don’t keep a formal schedule, I absolutely will not get any writing done and that best seller will most definitely remain out of reach. I use a color-coded excel sheet and have time blocked out for family, writing, meals, me-time, work, meetings, email, and “the unexpected”, which typically stems from checking my email. And, like so many experts have suggested (Tim Ferris and David Allen to name two), I only check mine 3 times per day, which, according to said experts, is excessive, but hey- I have clients to care for. I admit it. I am powerless over the Internet and its plethora of delightful information. Plus, I often have research to do. I find it helpful to have tools in place that help me stay on track. One tool I’ve found particularly useful has been Rescue Time. This terrific application comes at a small price, but it tells me how much time I spend on everything I do on my computer- and away from it. For those of us that work from a home office, this can be a real lifesaver and production booster. I’m not sure why it is, exactly, but for some reason when one works from a home office, people automatically act as though you have all the free time in the world. Most think nothing of knocking on your door, telephoning in the middle of the day for a chat, asking you to (fill in the blank), and so on. In order to avoid interruptions while working, I turn off my email (no popup alerts with messages I just can’t ignore), turn off my phone, set chat to “away”, and hang a little sign on my door that indicates I am not to be interrupted unless someone is bleeding from their eye, or worse. While it may seem strange to include this topic in a post about productivity, this may, in fact, be the most important factor in your cache of habits and tools that will help you stay productive. Most successful people say they get plenty of sleep, meditate, exercise daily, eat healthily and avoid excessive alcohol consumption. Let’s face it. If you are tired, stressed, hungry, headachey, or sluggish, you are not likely to produce at your best. Working for oneself is a beautiful thing, but it takes self-discipline flanked by healthy habits to be successful. Not everyone has what it takes but everyone can put practices into place to learn and adapt to what it takes. The number one habit or tool for success is to make the decision, on a daily basis, to do what you need to do to succeed, even if that means putting drastic lifestyle changes into place. Copywriter, WordPress developer, SEO, and content marketer, specializing in the Costa Rica travel industry market. @2018 Lynette Garet All rights reserved.